The 5 Factors of Value | Joe Hayden Real Estate Team - Your Louisville Real Estate Experts! Over the years as a working buyer’s agent, I have witnessed a myriad of ways that people value homes and I have seen everything from questionable logic and reasoning, to old wives tales, to downright demonstrably false methods for valuing a home that truly had the potential to significantly financially harm a buyer. Read about the two types of home buyers, price shoppers and value shoppers, for a better understanding of why there is so much mis-information out there about how to value a home. The fact remains, I rarely encounter a buyer that has a clear understanding of value and a workable method for determining the value of a home. I hope to change that through the 5 Factors of Value Method for pricing a home. Experience has taught me that home buyers frequently confuse price and value. It’s easy to do, but the effects of such an error can do great harm and should be avoided. Price is the number that you ultimately pay for the home, and it is one specific number that is the result of negotiations. Value is different because it is affected by both objective and subjective market conditions and should be used as the basis for determining price. Value for our purposes is expressed as a range of numbers to allow for the differences in opinions of typical home buyers and market conditions. In other words, there is not one specific value for a home because ultimately different people with different needs will not necessarily come to the same value range for a particular home. Here is another way to look at value when buying a home and how it is affected by people’s needs. When weighing the pros and cons of a particular home, 2 sets of reasonable buyers with slightly different needs will view the home through their specific needs. The first set of buyers may love the layout of the home, love the style and functionality of the kitchen, and love the unfinished basement for storage. They may ultimately highly value the home and may pay on the upper end of prices for the home. The second set of buyers may like the layout of the home, they may think the kitchen is workable, but not ideal, and they may want a finished basement for more living space. These buyers will likely not value the home as high as the first buyers and will likely not pay top price for the home, especially if negotiations get tough. Let’s add a 3rd set of buyers to the mix and after weighing their pros and cons for this particular home, they decide it does not fit their needs at all and they are going to continue looking. What is the value of this home to these buyers? Exactly zero for the purposes of our discussion. People are surprised when I mention that the $350,000 home they are considering has zero value to them, but once they understand why they begin to think much differently about how to value a home. Let’s now begin to learn about a method I have developed for actually valuing a home that defends against many of the common value and pricing errors I see made by buyers. I call it the 5 Factors of Value Method – Location, Condition, Functionality, Comparable Sales and Motivation. When using this method, you can literally write each of the 5 factors down on a sheet of paper and use it as a guide when valuing a home. You are going to write down the pros and cons for each factor, plus you can score each factor from 1-10 if it helps you better see value. The main point of this is that we are going to truly think through what makes the home valuable to you and what may make it valuable to other buyers in the future. Remember, the day you close on a home you become a seller, so you always need to consider future value as well. The first factor of value is location. Of course, we’ve all heard that real estate is all about location, location, location, and it is very true. Most people would not buy a home right next to a toxic waste dump, but lots of people would buy a home right next to a popular park. When weighing the factor of location, don’t forget that while a location may be great for your needs, a future buyer may disagree and not see the same value. That popular park may be perfect for you if you have kids or lead an active lifestyle, but a retiree who wants peace and quiet may want more seclusion. Try to see all sides of the value of location. The second factor of value is condition. The condition of the home can significantly affect value and you need to think through how the condition affects value for your specific home. For example, if the home has very personalized paint colors that don’t meet your tastes, that condition may be easily overcome by getting a better price during negotiations or negotiating in a painting allowance. If the seller won’t agree to either of these ideas, then the cost of painting the house yourself may be worth it if it means ultimately getting the right home for your needs. Other condition issues can be more tricky. What if the furnace is 25 years old? It may be running perfectly and may have been serviced regularly, but at some point in the future it may need to be replaced. 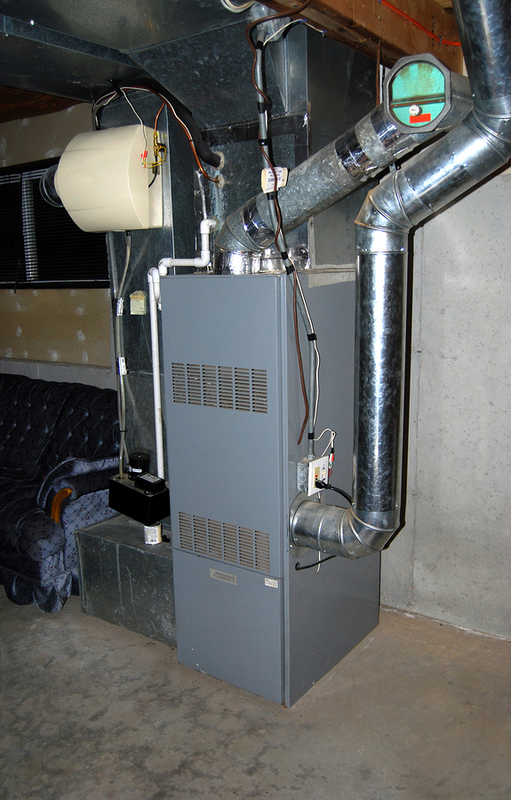 Again, you can try to negotiate to have the seller replace it, but if that does not work you need to make sure you have reasonably accounted for the upkeep and potential replacement of an older furnace during negotiations. The 3rd factor of value is functionality. Functionality can be highly subjective, so remember to always step back and think about your future buyer’s needs as well. For example, a home with all of the bedrooms on the second floor may be perfectly acceptable to you, but if most of the other homes in the neighborhood have first floor master bedrooms, then the home without that feature may not be as functional, nor as valuable as the others. What is highly functional and useful for you can actually end up being a unique feature that other buyers may not desire, so be careful when weighing the value of functionality. The 4th factor of value is comparable sales. This is where you actually begin to put numbers to your value calculation and you need accurate market data for this step. You are going to consider the past and present values of comparable homes for pricing information and use the future value of homes in the neighborhood for trend information. For example, homes that have sold in the last 6-12 months represent the past and homes that are pending sale or have sold in the last few months represent the current market. These homes will start to give you the range of prices for the home you desire as you make apples to apples comparisons of location, condition and functionality of each. Homes that are active on the market represent the future and will help you determine if prices are rising, holding steady or falling in the area. Pick out 3-5 representative properties that are comparable in general size, features and amenities from the past, present and future, and carefully compare of each of these homes to the home you desire using any available pictures and written descriptions. Use the sales price for homes that have sold and the list price for pending and active homes. Don’t worry too much about the exact size of any of the homes, just be in the ballpark, roughly plus or minus 10% of the total finished square footage. The reason we are not focusing on the exact size of homes and we are trying to understand the features and amenities of the comparable homes is because the sales price for the sold homes actually includes all of the 5 factors of value and best represents how that specific home fit the needs of that particular buyer. You are trying to figure out if that buyer made reasonable value decisions based upon the facts at hand and didn’t significantly overpay or underpay for the comparable home. If you determine that they did overpay or underpay, consider that information when you weigh this factor of value. Now, take the sales prices for those homes and reasonably come up with a range of prices that makes sense for your desired home. 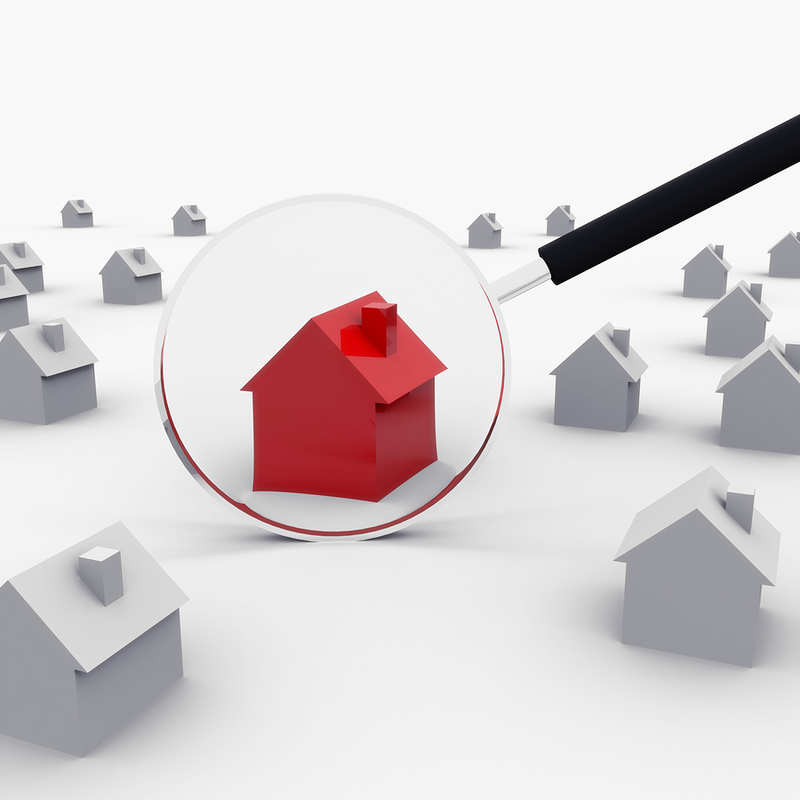 Your goal is to continually reference the location, condition and functionality of your desired home in comparison to the other homes and to then pick a range of possible prices that a reasonable buyer would pay for the home now and into the near future. 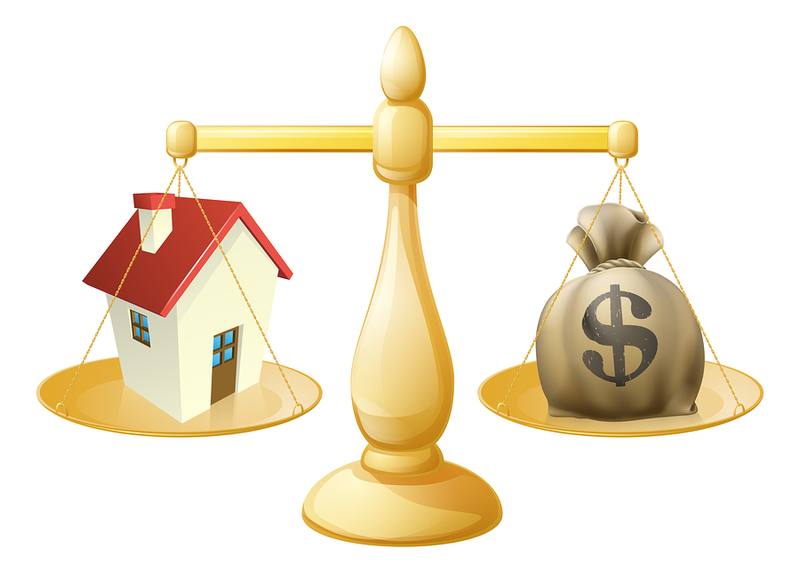 If the location of a comparable home is better than your desired home, then you will devalue your home to some degree. If the condition of your home is better than the comparable home, then you will increase the value of your home in comparison. This process continues until you have gone through each comparable home. You are then left with a range of prices based upon an objective value analysis of the home you desire in comparison to the surrounding market and from there you can make adjustments for any market trends that may affect your home. It is from this range of prices that you will pick out the price you will pay for the home and use that as the basis for your negotiations. If you have done your homework well and the seller is reasonable, you are likely to get a very fair deal for your home. Take notice that we did not use the price per square foot method to value a home. There are too many errors built into that method and it is best to be avoided. The final factor of value is motivation. Motivation is very personal and it plays out on both sides of the transaction. For example, a buyer may be motivated to buy a home because they need a place to live immediately and they may be willing to pay more for that home than if there was no pressure involved. A seller may be relocating for a new job and to sell quickly, they may be motivated to lower the price they will accept to sell the home. Motivation absolutely affects the final contract price when buying a home, but you need to think through both your motivation as a buyer and any motivation you can discover about the seller to make sure that you don’t make a big mistake in over-valuing or under-valuing a home. Yes, you can actually under-value a home and fail to come to terms with the seller, thereby missing a home that meets your needs because you miscalculated value. Be careful and weigh your motivations against the other 4 factors of value objectively. Now that you know the 5 factors of value, write them down and start making lists of pros and cons as factors of value for any home that interests you. Watch how quickly this organizes your thinking and helps you see clearly where the real value in a home lies and whether or not you can secure the home for a reasonable price. Buying a home is a major financial transaction and it deserves careful analysis. Use this method to guide you confidently throughout the process. I hope that you find the 5 Factors of Value Method for pricing a home helpful and you have great success buying the perfect home for your needs! !